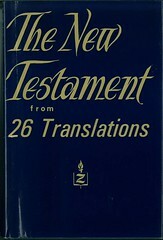 Title:The New Testament from 26 Translations. General Editor Curtis Vaughan, Th. D.
Comments: "The aim of The New Testament from 26 Translations is to combine in one volume the complete King James text and the most significant variations from 25 later translations." - from the dust jacket. 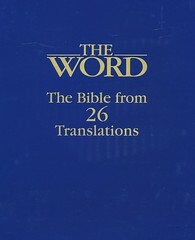 King James Version - The only version included in its entirety. 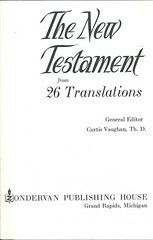 The New Testament of Our Lord and Saviour Jesus Christ (John Broadus et al) - This is the American Bible Union Improved Edition of 1891. 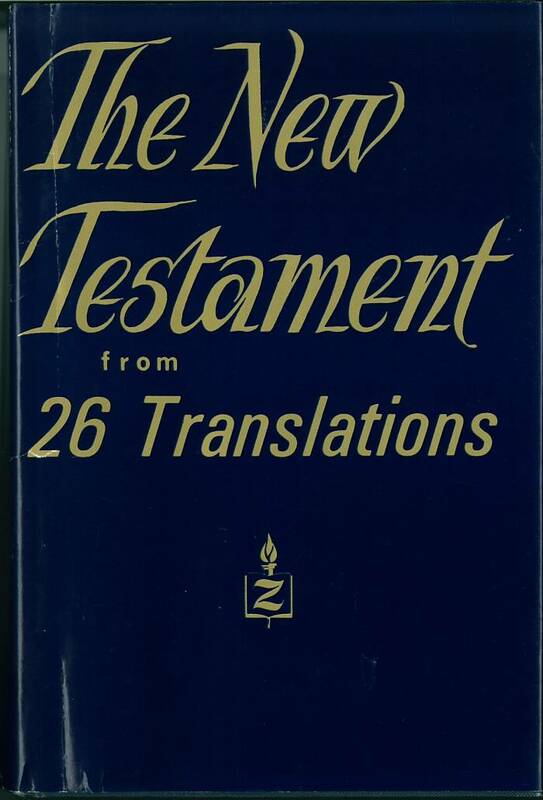 The Centenary Translation: The New Testament in Modern English (Helen Bartlett Montgomery) - Translator is really "Helen Barrett Montgomery"
Title:The Word. 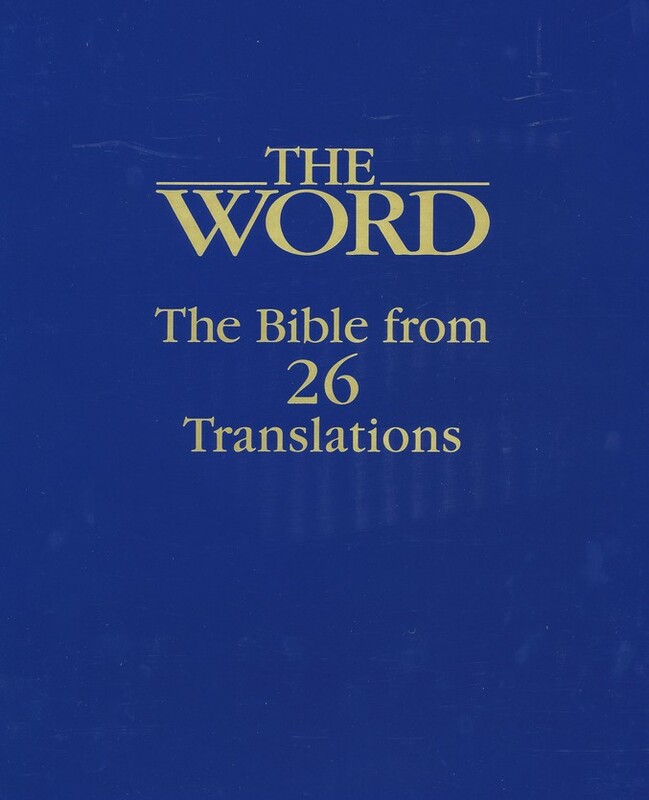 The Bible from 26 Translations. General Editor Curtis Vaughan, Th. D.